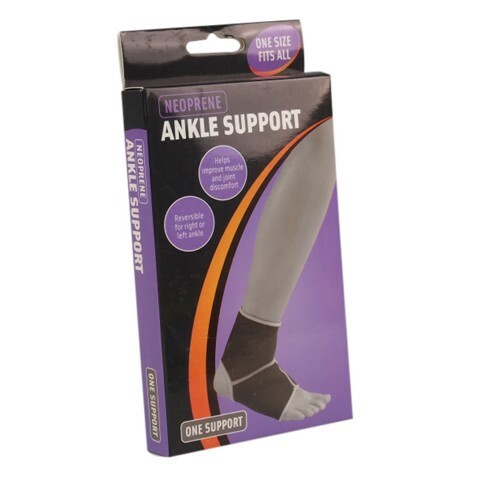 Ankle Support Neoprene. 23cm. Black with Grey Stitching. Neoprene. 30.8G Packaging: Printed Box.